You’ll be happy to know that Kashi is mailing out free samples of their newest cereal! How sweet is that? 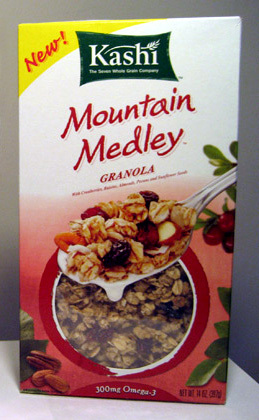 All you have to do is fill out the form here and you’ll receive your free single serving of this delicious granola within six to eight weeks. It’s full of whole oats, almonds, and raisins, and tastes amazing with vanilla yogurt. I’d definitely give it a try which is why i signed up right away, and now you can too!